There was a time when people thought that David Bowie came from another planet – his glam rock look certainly shocked a few people back in the early 1970s. Supporting him was a group of East Yorkshire lads known collectively as the Spiders From Mars. 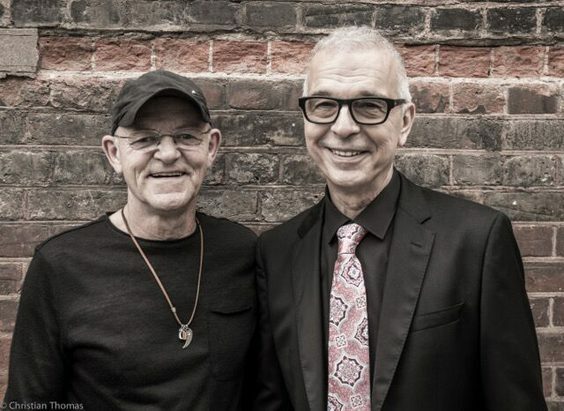 Sadly, only one of them, drummer Mick ‘Woody’ Woodmansey (pictured above left, with Tony Visconti), is still with us, and he looks back on his time with Bowie with fond memories, although he acknowledges that on paper at least, they may have seemed an odd mix. Driffield-born Mick is heading back on the road with his band Holy Holy, which plays music from his time with the Spiders from Mars, David Bowie’s backing group, in the early 1970s. Now hugely respected as a drummer, he admits it was a twist of fate that led to his music career. “I was playing football with my mates and had to fetch the ball,” he recalls. “It had rolled near this door I’d never seen before that said ‘The Cave’ above it. I could hear loud music coming from inside and my mate said it was his brother’s band. I asked if I could watch and that was the first time I’d heard live music. Shortly after that, he met Mick Ronson, who would also become a Spider from Mars. 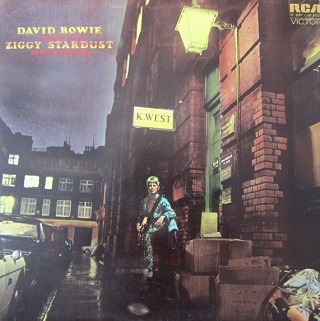 When Ronson went to London and teamed up with Bowie, Woody received a momentous phone call. There’s another major change to the old days too: “There’s a lot less liquid refreshment!” laughs Woody. The Glam look has vanished too, but don’t worry – the excitement and fantastic songs remain in abundance. 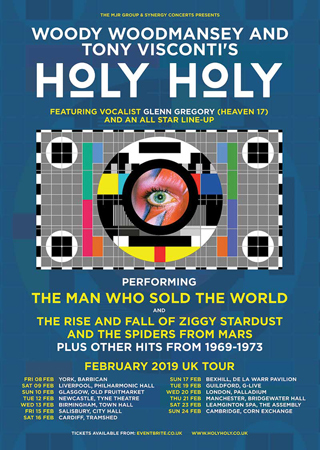 Woody leads Holy Holy with Tony Visconti, who started working with Bowie as a bass player but is now best known for producing many of his most memorable albums, including Heroes, Scary Monsters (And Super Creeps) and his final work, Blackstar. Together they play some of Bowie’s classic songs from the early 1970s, with another Yorkshire lad – Heaven 17’s Sheffield-born singer Glenn Gregory – on lead vocals. The tour kicks off at the Barbican in York on February 8, and Woody is thrilled to be heading back home, at least temporarily. And in case you’re wondering, the 67-year-old is as busy as ever.